Samsung Galaxy Express - Worth the Expectation! In this day and age, ensuring that your brand captures the market share of your competitors, it is important that a proper brand image is developed. This is because of the rivalry of Samsung and Apple that has led to Samsung inventing a new distinct look with the all new Samsung Galaxy S3. 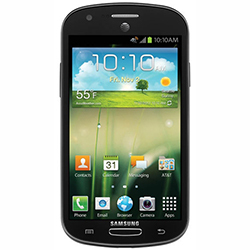 The same look has been given to the Samsung Galaxy Note II as well, and now the Samsung Galaxy Express for AT&T has emerged with basically the same exterior looks that have become Samsung’s tradition.